Dans quelle mesure le Canada respecte-t-il ses obligations internationales en matière de droits de la personne? Le 11 mai, ce fut à notre tour d'être examiné par les Nations Unies, pour le troisième Examen Périodique Universel (EPU) du Canada. Le RAD est récipiendaire d’un financement de recherche pour l’année 2018-2019 du programme de contributions pour les organisations sans but lucratif de consommateurs et de bénévoles mis sur pied par Innovation, Sciences et Développement Canada. Canada’s new Food Guide was launched January 22nd in Montreal, at the iconic Jean-Talon public market. Our team was thrilled to be present. We applauded its scope, going beyond simply what to eat and getting to how we eat: encouraging more plant-based foods and less highly processed foods, and eating more mindfully and together. Join the Canadian Biotechnology Action Network for a run down if the most relevant updates, and a brief response to industry’s key public relations messages including the argument that we need GM crops to feed the world. Bring your questions and issues to the table. Food Secure Canada, in partnership with CFICE (Community First: Impacts of Community Engagement) is launching a webinar series to share critical reflections and research about Canada’s food system: Building the Food Movement: Cultivating Connections through Critical Conversations. This year’s Great Big Crunch saw more than 300,000 children, schools, politicians, organizations and citizens from across the country crunching into apples and other crunchy produce to make noise for a national healthy school food program. Le 9 février dernier, Santé Canada a annoncé la Consultation en ligne auprès des consommateurs sur le devant des emballages, l’un des piliers de sa Stratégie en matière de saine alimentation. On February 9th, Health Canada announced online consumer consultations for Front-of-Package (FOP) labelling, one of the pillars of its Healthy Eating Strategy. This is a welcome step to encourage Canadians to choose healthier foods, to reduce sodium, sugar and saturated fat consumption, and to incentivize companies to formulate healthier processed foods. On Friday January 5th, 2018, the Canadian Food Inspection Agency (CFIA) published the “What We Heard Report”; the Government’s first official response to the Safe Foods for Canadians Regulation (SFCR) consultation in April of 2017. During last year’s consultation period, the CFIA received 1,717 responses from consumers, industry, academia and, not least of which, the organic sector. What is the Role of Food in the Social Innovation Agenda? As the federal government develops a Social Innovation and Social Finance Strategy, Employment and Social Development Canada contracted Food Secure Canada to explore in a webinar the role of food in this agenda. Across the country, our members are solving complex social problems through the power of food. Toronto, October 4, 2017 - The City of Toronto yesterday joined the City of Vancouver and more than 35 Canadian organizations in calling for federal investment in a national, universal healthy school food program. Motion MM32.9, Supporting a National School Food Program, passed 40 to 2 yesterday evening, demonstrating the City’s ongoing commitment as a champion of healthy food in schools. Toronto, August 31, 2017 – As Canadian children head back to school next week, the Coalition for Healthy School Food is sounding the alarm that Canada ranks 37th out of 41 countries in providing access to nutritious food for children. A recent UNICEF report ranked Canada 37th out of 41 high-income countries around access to nutritious food for children, below the United States and just over Bulgaria, Malta, Turkey and Mexico. As a country trying to position itself as a world leader, whose government is focused on children and families, this is unacceptable and presents us with a clear imperative to improve. Mapping the Food Policy Landscape is Canada is the result of a research collaboration between Food Secure Canada and Food: Locally Embedded, Globally Engaged (FLEdGE), led out of Wilfrid Laurier Universities’ Centre for Sustainable Food Systems. Its goal was to explore the Canadian food policy landscape on six key themes (sustainable agriculture, school food, food systems, new farmers, indigenous and northern food sovereignty, and food (in)security) in order to enrich the on-going conversation around building a national food policy for Canada. Santé Canada a récemment annoncé des consultations supplémentaires sur deux éléments de sa stratégie en matière de saine alimentation - réviser le Guide alimentaire canadien et restreindre la publicité des boissons et des aliments mauvais pour la santé destinée aux enfants. Il y aurait toutefois une dispute entre le secteur agricole et agroalimentaire et les parties prenantes en matière de santé autour de la question d’étiquetage sur le devant des emballages. As part of its process for developing a National Food Policy for Canada, Agriculture and Agri-Food Canada (AAFC) convened a Food Summit in Ottawa on June 22-23. The two-day event brought together over 300 diverse stakeholders from across the country to brainstorm, discuss and workshop key principles and priorities for a national food policy. Health Canada recently announced more consultations on two components of its Healthy Eating Strategy–Canada’s Food Guide and Restricting Marketing to Children–and there is a food fight brewing around front-of package labelling between agriculture and health stakeholders. Years after Canadians developed the People's Food Policy, food activists in the United Kingdom have taken on a similar task. The UK People’s Food Policy is a ground-breaking manifesto outlining a people’s vision of food and farming in England that is supported by over 80 food and farming organisations. 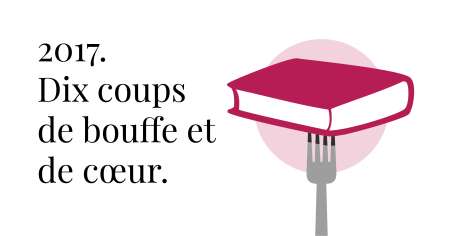 Bienvenue à l’Info à la pelle, où vous trouverez les dernières nouvelles concernant l’avancée de la première politique alimentaire du Canada. Son contenu est uniquement réservé aux membres organisationnels du RAD et ne doit pas être utilisé à des fins de citation ou de publication. Il est maintenant temps de creuser l’info!